Sistema de amortiguación GEL Technology. Usando nuestro sistema patentado de amortiguación con tecnología GEL, nuestro revolucionario protector de oído protege la cabeza y acuna el oído sin obstruir la audición. 5.0 de 5 estrellasGreat head gear! My son is 5 years old and just started wrestling. This headgear has made it through 1 tournament with no issues. It is very sizeable for small heads which is wonderful cause he has just has begun his wrestling career! The only thing I can't speak for is how long it will last but seems to be built Well! I have used cheap and expensive ear guards, but always seem to be coming back to this particular ear guard. 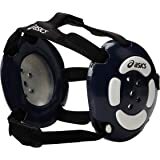 I train BJJ and my son uses this for wrestling. 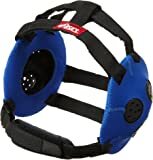 For BJJ the worries with ear guards would be that it makes it harder to get out of guillatine chokes and triangle submissions, but I would say that this would be lower profile compared to the majority of ear guards out there. 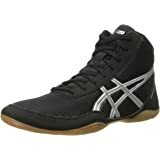 For my son, he seems to like the velcro adjustability that this could be done easily by himself even right before a match. This is also affordable enough that if you loss it, for the price point, it can be replaced without worries. 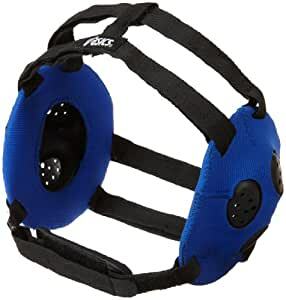 My son seem to loss his ear guard every two months, so I own extra pairs of this particular ear guard as replacement. I would highly recommend this product to anyone. 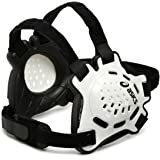 I tried a few headgear for BJJ and this one is my favorite. It took a while to adjust it so the front doesn't get pulled down. Once I dialed it in, it works perfect. Pro Tip: adjust it very tight...it will loosen up when you work out and won't pull down in front as easy. 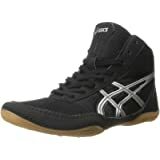 I use it in BJJ practices. Does not move like the ones the other guys have.